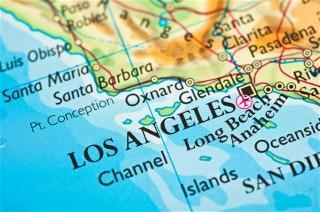 People looking for Los Angeles autism service providers have many options to consider. Whether you are trying to find a dentist for your child or a work program for an autistic adult, resources are available. Services for autism spectrum disorders are as diverse as the different levels of the spectrum. You can narrow your search by focusing on a specific topic of interest but this process can be challenging. Some organizations offer a wealth of information in their websites, making the challenge a little easier to face. The Autism Society of America in Los Angeles is an outstanding resource for people affected by autism and related pervasive developmental disorders. Programs run the gamut from raising autism awareness to the latest studies and news about the spectrum. Other helpful resources are available for families to consider. The searchable database offers help for people searching in the Los Angeles area, but people looking for services across the country can access information from the site, too. Many families affected by the autism spectrum speak Spanish, which can make diagnosis, treatment and support difficult to find. The Autism Society of America's LA division includes resources for Spanish-speaking families. The Bilingual Autism Resource Guide is an excellent resource. AutismLink has a searchable database that allows visitors to access information about Los Angeles autism service providers easily. The Autism Society of America offers many of the listings in the same categories as those found on AutismLink, with some exceptions. The LA Chapter of Autism Speaks has a database for families to explore. William Frea, Ph.D., BCBA-D is on the Board of Directors for this chapter of the organization. Frea is the Chief Clinical Officer and cofounder of Autism Spectrum Therapies.com. Various organizations offer services for families in the LA area. It is important to research each one before signing up for programs. Programs like applied behavioral analysis (ABA) have been found to be very effective in treating autism and related pervasive developmental disorders, but it helps to learn about the services before making any commitments. Finding services for families affected by autism can be challenging. Many families find that programs come with long waiting lists and many services are simply unavailable. It helps to make the most of every resource you possibly can in order to get the support and guidance necessary to find Los Angeles autism service providers that can help.